Looking for something that’s functional and has a lot of features, while being on a budget is not an easy task. There are a lot of cheap ukuleles in the market, so it’s easy to be blinded by the wrong ones. 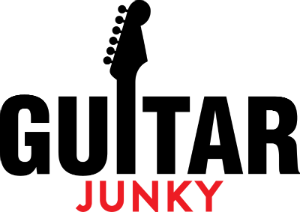 That’s why choosing the best cheap ukulele requires a good eye, aside from knowing what and which type you want. To give you a good set of options, below are 5 of the best cheap ukuleles that are worth more than its price. Avoid the mentality that just because it’s cheap, it will automatically be cheaply made and has low quality. To get the best cheap ukulele, you need to know some factors you should consider before finally settling with your choice. 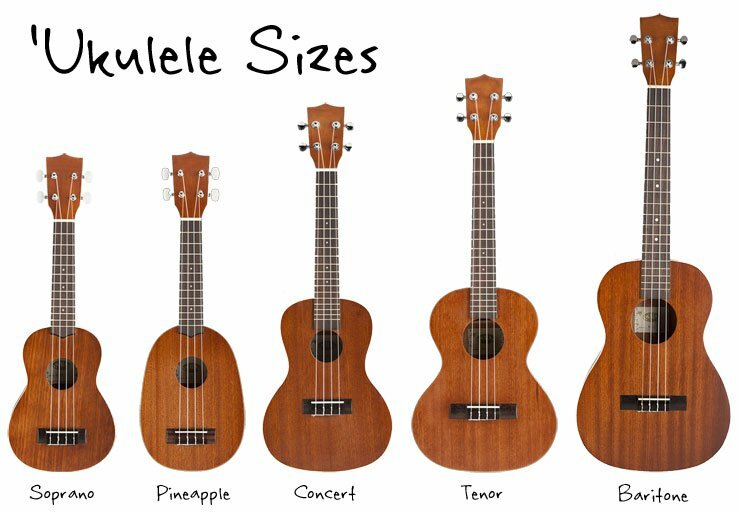 Among any other considerations, the first and most important thing you should think of is that a ukulele has four different types according to its size. With each size comes different and distinct tone, projection, and volume. The first and smallest type is a soprano ukulele. Soprano ukuleles are considered the most popular type of ukulele (it can also be proven by our list). It offers a crisp sound, without having a lot of bass. One size bigger is the concert ukulele, which has a longer neck and more spaced out frets. Most musicians prefer this type because of its easy playability and right size. Now on the bigger side of the spectrum, the tenor ukulele is recently becoming more prominent, because of its size and its classical guitar vibe brought by its sound. The biggest type is the baritone ukulele. This type is somewhat rare and sounds more like a standard classical guitar. Among the other types, the baritone ukulele is the least preferred because of its size and least unique tone. If you’re fond of playing string instruments, then you’d have a pretty neat background when it comes to its overall construction. But if you’re new, then you must know that it gives a huge impact towards its sound. Usually, traditional ukuleles are made with one solid tone wood. And that’s when you know you’re in the right track. However, modern ukuleles use a type of softwood as their top, while their back and sides is made of hardwood. This design produces better resonance. The type of wood used dictates almost every characteristic of a ukulele, sonic-wise and physically. The most popular and effective wood used is the Hawaiian Koa, or just Koa. The first ukulele is made in Hawaii, so Koa is mostly found in the same place. The next best option of a great tone wood is the mahogany, mostly because both have almost the same density and tonal properties. Mahogany has proven to be the next most popular choice, due to its similar density and tonal properties. Cedar and spruce are also common and great choices. You will also see some ukuleles made with rosewood, walnut, or ebony. Whichever tone wood is used for your ukulele, as long as it features a solid wood construction, you’ll be getting the best cheap ukulele. If you’re going to buy something cheap, might as well ensure that you get the most out of it. That’s why you are safe when you buy the Kala KA-15S Soprano Ukulele. Being the top choice for the best cheap ukulele, the KA-15S is a very famous model among soprano ukuleles. With its price, you would be surprised by the features it offers. The Kala KA-15S is made with a full-on mahogany construction, from its neck to the body, and is complete with a very beautiful satin finish. It has 12 brass frets complete with fret markers, which gives you a hassle-free time, especially if you’re a beginner. The KA-15S owns a mahogany neck paired with a rosewood or walnut fretboard, the choice is yours on which fretboard construction to pick. Now, if you are wondering or worrying about its sound, it wouldn’t be as famous as it is if it gives an unpleasant sound, would it? Because of its mahogany construction, the KA-15S gives a warm and sweet sound. And because it’s a soprano ukulele, the KA-15S gives great playability and is really perfect for every player with small hands. The Kala KA-15S features geared tuners and is pre-installed with Aquila Nylgut strings. To complete this starter kit, we've joined with America's largest lessons company. When you purchase this bundle, you will get TWO MONTHS of FREE live, video lessons where you can interact and learn from an expert instructor. You'll be on your journey to stardom in no time! Hola! Music HM-21PP Soprano Ukulele Features: Top, Back and sides constructed of maple and painted in a variety of beautiful colors. Fingerboard and Bridge constructed of Rosewood. Equipped with white nylon strings and silver geared tuners, 12 silver nickel frets with fret position marks at 5th, 7th and 10th frets on top of fingerboard. Crafted to allow you to create warm, pitch-perfect Hawaiian harmonies, this ukulele is the best gift you can buy for yourself or your loved one! Don't miss!! Full description, images and specifications down the page. Hola! Music guarantees quality and affordability. Hola! - Say Hello to Music! If you’re into colorful creations, then you’d be the happiest with Hola! Music HM-21PP Soprano Ukulele as your best cheap ukulele. It’s available in different colors, you might find your favorite color in its variations. And if you feel like spending a couple of extra bucks, you can even collect them all, because it’s just so colorful you can’t resist it. The HM-21PP sounds just as pleasant as it looks, too. Featuring maple top, back, and sides, the HM-21PP you’re guaranteed that it produces only the incredibly best sound. With its fingerboard and bridge made of rosewood or walnut, depending on which one you choose, the HM-21PP is made with high quality and is made to last a long time. It also features Premium Italian Aquila Nylgut strings and silver geared tuners complete with 12 silver nickel frets with fret markers. The HM-21PP is coated with a thin layer of paint that’s just enough to give it an attractive physique, which also preserves the natural effect of the wood, thereby producing a very rich and warm tone. Perfect for a Hawaiian-themed afternoon session, you won’t go wrong with the HM-21PP. With a solid wood construction and perfectly shaped edge, the AKLOT AKC23 Concert Ukulele sings of a stable and pure tonality and great playability. The AKC23 is a wonderful option as the best cheap ukulele, especially once we dive deep into its features and skillfully made design. Also perfect for beginners, the AKC23 is complete with an instruction booklet to help beginners get started with it immediately. With its sound solid wood construction, the AKC23’s body is made with mahogany, which makes it compact and more natural-sounding. Because of this construction, the AKC23 offers an even greater sustain and resonance. You would also notice its round edge, which gives you confirmation that it won’t give you a hard time playing it because you can hold it easily while playing. Complete with heavy duty and advanced tuners, the AKC23 stays in tune for a long time with an amazing intonation. Featuring a perfect string action, the AKC23 is pre-installed with Aquila Strings offering a full sound. 15 Brass Frets with Fret position Marks at 5th, 7th, 9th and 12th frets on neck and top of fingerboard. Comes with ukulele bag, ukulele strap, carbon nylon string and digital clip-on tuner,ukulele picks as gifts. Next on your choice for the best cheap ukulele is the Donner DUS-1 Soprano Ukulele. Perfect for a tropical getaway or just an afternoon chill on your backyard, the DUS-1 will never disappoint. Boasting a great playability and pleasant sound, you’d be surprised that this stunner does not have a hefty price tag. The DUS-1 is one proof that you don’t have to break the bank to have the finest things in life. Featuring a mahogany body and rosewood fingerboard, the DUS-1 gives off a clear and sweet sound that is sure to be loved by both pros and beginner. Carefully crafted by its manufacturers, the DUS-1 guarantees each of its users a high quality construction that can withstand any temperature and will last a long time. Owning a comfortable chord distance, gentle strings, and perfect string action, the DUS-1 will make a great addition to your collection. The DUS-1 is complete with everything you need, as it comes with an accurate tuner, good quality case, colored strap, and carbon nylon strings. A BEAUTIFUL LOOKING UKULELE: 24 inches long, Sapele/Mahogany Top, Back & Sides & Neck, Technical Wood Fingerboard, Aquila Strings Installed (Best Ukulele Strings), Handmade ABS Bindings, Chrome die cast tuning gears keeps ukulele in tune! To complete the list, the Lohanu LU-C Concert Ukulele will give you an awestruck moment once you get to know what it does. With its high quality and an affordable price, the LU-C is well-loved by both experts and beginners alike. Offered with a lifetime warranty, the LU-C easily makes a great choice for the best cheap ukulele. Featuring an incredible sound, the LU-C will remind you of a high-end ukulele. With a combination of saple and mahogany as materials for its body construction, the LU-C features an arched back which produces a full sound with longer sustain. 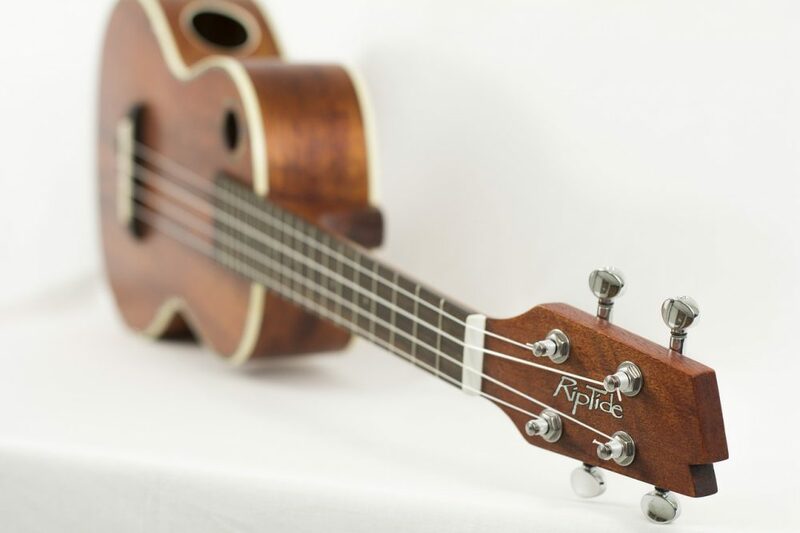 Complete with a rosewood fingerboard, ABS binding, Aquila strings, and die-cast tuners, you will be fully satisfied with this concert ukulele. If you’re out looking for the best cheap ukulele in the market, consider the Kala KA-15S Soprano Ukulele. With its mahogany body construction, the KA-15S is sure to give you the best tonality with the right touch of sweetness. It also features pleasing features including a lovely satin finish and a rosewood/ walnut fretboard. Users love it because of its warm and melodic tone, while having the right set of features. However, some may not be a fan of its buzz sound due to its strings.